The Tu-214R reconnaissance aircraft, fitted with cutting-edge optical and electronic equipment and radar systems, was employed in Syria in February 2016. Russia deployed its latest spy plane in Syria, reports blog The Aviationist, citing data provided by the Flightradar24 website. 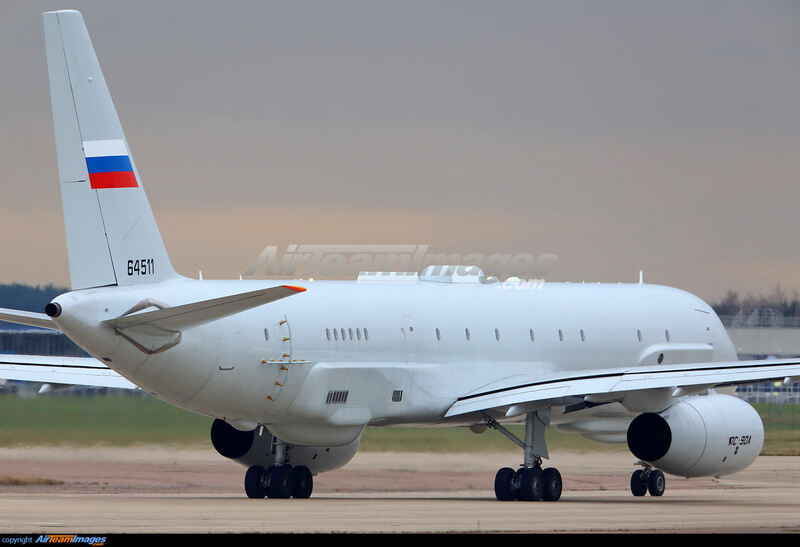 "On Feb. 15, the Tu-214R registered RA-64514, serial number 42305014, the second of the two examples of this kind of aircraft built under contract with Russia’s Ministry of Defense, flew from Kazan to Latakia airbase, Syria," the blog said. The route of the aircraft, which can track Turkish military activity hundreds of kilometers away, was available to internet users due to transponders transmitting position, altitude and velocity at a frequency of 1,090 MHz. Apparently, the Russian military leadership badly needed intelligence information to understand the situation on the Syrian-Turkish border – whether there is credible evidence of Turkish military preparations for a ground operation in Syria and how the Turkish armed forces are regrouping. On 03 February 2016, Turkey refused to allow Russia to conduct a surveillance flight over its territory under the Treaty on Open Skies. 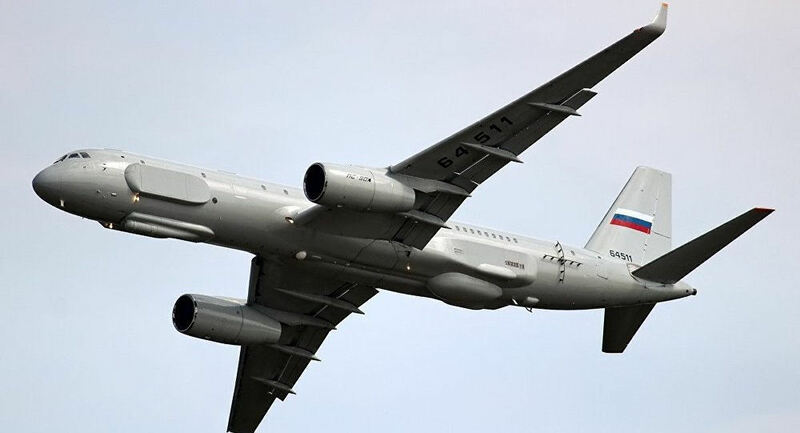 In response, Russia deployed the Tu-214R reconnaissance aircraft, which is capable of conducting comprehensive surveillance without crossing the Syrian-Turkish border. 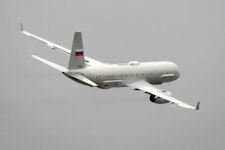 Unlike the Tu-214ON, which was created specifically for inspection missions under the Open Skies treaty and carried only photographic equipment on board, the Tu-214R possesses almost super powers for intelligence gathering. 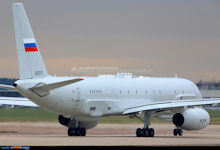 The United Aircraft Corporation (UAC), which produces the Tu-214R, has not disclosed its tactical and technical characteristics to RBTH, citing the aircraft's increased secrecy regime, but RBTH managed to find out some details from the 2014 annual report of the Vega Radio Engineering Corporation (part of the UAC). The Tu-214R can be distinguished from civilian aircraft by the characteristic bulges under the front and rear fuselage as well as teardrop-shaped fairings on the sides of its body, where the powerful all-round and side-scanning phased-array radar systems are located. These radars, included in the MRK-411 multi-frequency radio engineering system, are the eyes and ears of the aircraft: Operators receive information in active and passive (without revealing their location) modes and can intercept the enemy's radio communications. The main feature of the Tu-214R's radars is said to be ground-penetrating radar (GPR) scanning. In other words, the aircraft is daid to be able to see through the ground. Any objects hidden under the ground, covered with snow or sand, or disguised by trees, will be detected by the Tu-214R. It will take a radar snapshot and immediately transmit the information to the command post. The radio engineering system is complemented by the Fraktsiya electro-optical imaging system, used by the Tu-214R's crew to receive real-time, high-precision images of the terrain in the visible and infrared ranges. In mid-December 2015, Tu-214Rs (Russia has two of them, according to the register) disturbed the Japan Air Self-Defense Force, which spotted one of them over neutral waters in the Sea of Japan. In the summer of 2015, the second Tu-214R was seen near the Ukrainian border. During construction the Tu-214R spent a lot of time on the factory floor and was the subject of a number of legal proceedings between the Defense Ministry and the manufacturer due to the repeated failure to meet the delivery date. The conflict in Syria accelerated the completion of these winged superspies. Vega's annual report said that the performance characteristics of the radio engineering system were improved to effectively detect hidden objects, the database of radar images was formed, and a special processing algorithm for decoding and transmitting data on board the aircraft was developed. Equipped with such powerful hardware, the Tu-214R will operate in concert with the other reconnaissance aircraft of the Russian Aerospace Forces in Syria – the Il-20 and A-50. 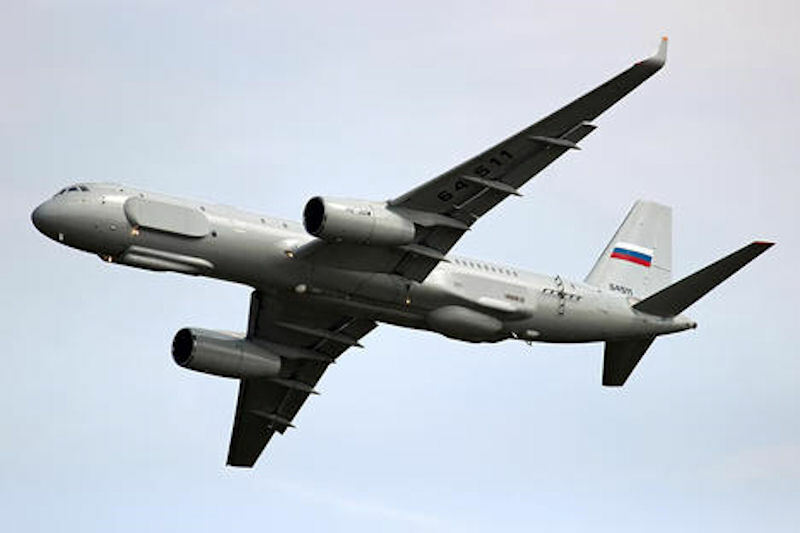 Thanks to the Tu-214R, the Russian military leadership will receive comprehensive intelligence data in the region in a timely manner, despite the "closed skies" of Turkey. In March 2015 it was reported that Concern "Radio-electronic technology " (KRET) and the company Tupolev had developed a project to install the "Porubschik" electronic warfare (EW) complex on board the Tu-214. "Recently, the concern involved in the conceptual design, based on its results the Tu-214 carrier aircraft was chosen. The Group Companies will stuff its avionics complex into the aircraft. Development work should be completed in 2018, and should continue to be a serial delivery " first deputy general director Igor KRET Nasenkova said. Currently complex EW "Porubschik" was installed on board the IL-20 reconnaissance aircraft (modification called Il-22PP). Earlier it was reported that the state tests complex scheduled to be completed by the end of 2014. Equipment "Porubschika" operates in the passive search mode, and after the detection of the target sets the direction of interference. Features of the complex allow the radio to drown out a dot of the enemy in a narrow range, without interfering with their radio equipment using the adjacent frequency. Potential targets for "Porubschika" include Airborne Early Warning and Control aircraft, radio aids anti-aircraft missile systems, as well as the channels of communication with drones.